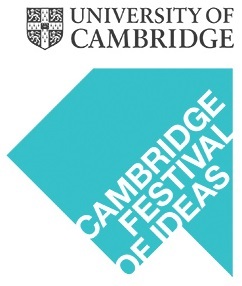 The Special Collections team are once again taking part in the University’s Festival of Ideas, a public engagement initiative that celebrates the arts, humanities and social sciences by showcasing a diverse mix of inspirational talks, performances, films, exhibitions and other creative displays. 2017 marks the tenth year of the Festival of ideas; it runs from Monday 16 October–Sunday 29 October. Although our pre-booked events are all full, there’s plenty of drop-in talks and a display. For more than two-thousand years, the text of the Hebrew Bible has been accurately preserved. What techniques ensured the remarkably faithful copying of the text in the age before print? This talk will focus on the work of the scribes and Masoretes – the protectors and transmitters of biblical tradition – and, through an examination of Bible manuscripts, look at the way they ensured the accurate copying of the Hebrew Bible. Enjoy a tour of the Historical Printing Room. Discover how type is made and pages are composed and view a demonstration of how a hand press works. This informal session will explore some of the quotations and ideas wrongly attributed to Darwin. How do these misinterpretations impact on our understanding of his work? How has Shakespeare been re-shaped in the centuries since his death? In this workshop, you’ll explore printed versions of Shakespeare and how he has been re-packaged over time. Henry and Emily Folger spent almost 50 years assembling the world’s finest and largest collection of Shakespeare editions. This talk, by their biographer Stephen Grant, looks at the role played by Emily in the creation of this remarkable collection – including 82 First Folios – and the library that bears their name. Visitors can also see a display of a selection of the University Library’s thousands of Shakespeare editions, including our own iconic 1623 First Folio. How do we form and dissolve our emotional connections to objects? Drawing on ideas from Gujarati craftspeople and medieval artisans, Kate Rudy considers the role of craft in creating objects that resist obsolescence. This event will include a live weaving demonstration and a hands-on session in which participants will be able to examine North Indian textiles. When you’re surrounded by so-called fake news how do you know when information is fact-based? Join us to learn about the real story behind fake news. Paper is central to the histories of written communication and the transmission of knowledge. This talk will discuss the pre-modern and pre-printing transformative legacy of paper as a material. Recent publications and media interest have demonstrated the urgency of getting to grips with paper, at a historical moment that feels like a turning point in our relations with it. This talk will explore the technological innovation that paper brought about in pre-modern Britain, focusing on medieval handwritten culture and, more broadly, on the literary and non-literary culture of the period. After the talk, there will be an opportunity for audience members to have a close-up look at some medieval paper manuscripts from the University Library’s collection. Unique opportunity to see antique hand-drawn and printed maps of the Fens from the collections of Cambridge University Library and the Wisbech & Fenland Museum. Many of the maps will be from the 17th and 18th centuries. Admire the craftsmanship and think about why they were made and how that influenced what information was included. What can they tell us about the landscape of the past and the evolution of the Fens?